Well that was a little close for comfort… The Wizards were once up 17 in the 3rd quarter but ended up winning the game by 7 to get their first win of the season. The Wizards were led by John Wall who had 30 points and 12 assists. All five of the Wizards starters scored in double figures. The game opened up in the 3rd quarter when the Wizards clamped down on defense and held the Magic to just 15 points. Otto Porter had several key steals and deflections which allowed the Wizards to get out in transition for some easy buckets. 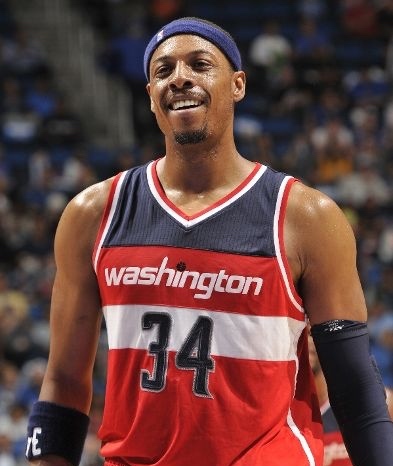 Paul Pierce had two key shots in the past few minutes of the game to help the Wizards pull away. That was exactly the reason the Wizards brought him in. Yes there were 5 scores in double figures but The Truth thrives with the ball in his hands at the end of the game. As great as John Wall was playing tonight, you can’t trust him at the end of the game with the ball in his hands. The Wizards defense came up with key stops and turnovers when they needed them Ben Gordon started heating up in the 3rd and 4th quarters. Additionally, the Wizards forced 18 turnovers while only committing 12. Wasn’t pretty but the Wizards are now 1-1 coming back to DC for their home opener.